Before working with Jean, I was muddled. My mind was all over the place and as a result I couldn’t focus on what was important. Jean led me through a series of questions that not only brought clarity, but also the ability to breathe again – knowing I was definitely heading in the right direction. are clogging up your mind and making it difficult or impossible to take the next step. Jean has a calming strength that allows her to zero in on your areas of resistance and help you work through the thoughts that hold you back. She helps you realize the courage in yourself, that you may have forgotten. Jean offered me critical advice and guidance during my career transition and move to New York. Through our sessions, Jean helped me to identify my strengths based on past experiences, strategies for opening doors to new opportunities, and a rewarding career path in an environment in which I not only thrive, but also genuinely enjoy. I highly recommend Jean Haynes to those seeking a thoughtful and perspective-shifting coach. 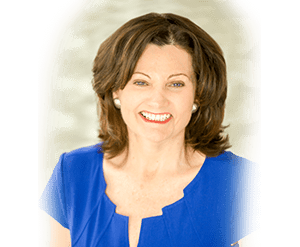 Jean is a skillful and masterful Life Coach, and has provided me with invaluable strategic insight into the some of the nuanced approaches to coaching. She is open, warm, and giving and has shared much of her life wisdom during our interactions, which has been a great support to my own budding coaching business. I highly recommend Jean as a coach, and am very grateful for the support I received from her. I was seeking clarity around my vision for the future as a first step towards creating it. Even though I journal and take time for reflection, I still had a lot of thoughts circling around in my head. Through my work with Jean, I got the insight I needed to clearly articulate my priorities and vision for the future in a new way. She knows just the right coaching tools and methods to use and gave me “homework” exercises that were both beneficial and enjoyable. Jean has a true gift for coaching. I’d recommend her to anyone who wants help achieving their personal definition of success. Jean helped me see that my habit of over accommodating in the work place was negatively impacting my performance. This good girl ah-ha moment has been the catalyst for making empowering decisions that support my happiness and my success! I’d highly recommend Jean to any women who wants to feel more confident in setting boundaries and making important decisions from a place of personal power so she can create the career and life she truly wants. Jean has an amazing gift for helping women realize that we don’t need to redefine ourselves…we just need to BE ourselves. Hearing her speak reminded me to live my authentic self on a deeper level across all areas of my life.